'MLM' The American Dream Made Nightmare: Donald Trump's 'conspiracy theories' mirror those of the LaRouche cult. Donald Trump's 'conspiracy theories' mirror those of the LaRouche cult. Recently, after posting an article about Donald Trump's movement exhibiting cult characteristics, I was sent these two links below and asked what I thought of their content? I replied that the author of the first of these documents demonstrated that he had extensive knowledge of the paranoid fiction controlling the cultic racket known as the 'LaRouche Movement,' but that although he also knew plenty about Donald Trump, he seemed to have no knowledge of the President's deep-involvement with 'MLM' cultic racketeering. That said, the author would appear to understand that, currently, the White House is occupied by a life-long mythomaniac/charlatan who has exhibited similar personality traits to Lyndon LaRouche, and who will go to almost any lengths rather than be investigated and held to account. As far as I'm aware, Donald Trump has no direct connection with Lyndon LaRouche, but the two of them are notorious 'conspiracy theorists' who have been indirectly linked via other notorious 'conspiracy theorists,' like Alex Jones. Thus it has come as no surprise to me that Donald Trump's 'conspiracy theories' are increasingly mirroring those of Lyndon LaRouche and vice versa. Perhaps the most extraordinary indirect connection between Messrs Trump and LaRouche, is the fact that the latter is mentioned (albeit briefly) in the dossier compiled about the former by ex MI6 officer, Christopher Steele, and which contains a catalogue of claims regarding Trump's links to the Putin regime. The name 'Lyndon LaRouche' appears at the bottom of page 15 of the controversial dossier along with the claim that (according to a 'Kremlin official involved in US relations') Putin's regime has been 'supporting' him. 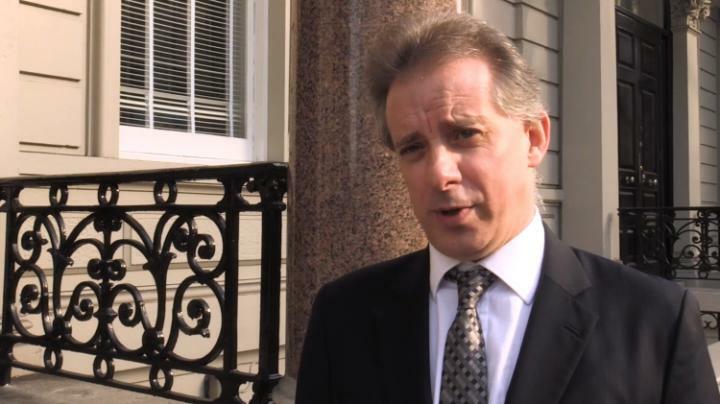 Not surprisingly, when Steele's dossier became public in January, it was immediately attacked, and ridiculed, in 'LaRouche Movement' propaganda, as an 'Anti-Trump/Putin Hoax.' Indeed, at first glance, LaRouche's explanation of Steele's dossier is essentially identical to that of Trump himself. Furthermore, although LaRouche's presence in the dossier was acknowledged, suspiciously, 'LaRouche Movement' propaganda didn't fully-explain what was said about him or offer a link to the document. It's not a secret that Donald Trump avidly watches Fox News and that a lot of what he tweets is directly influenced by what he finds there. Last week, a relatively-unknown media pundit/federal judge/legal academic, Andrew Napolitano, broadcast an unsubstantiated story on Fox News. Initially this event went virtually unnoticed, but it set off a chain reaction which quickly hit world headlines and led to a tragicomic diplomatic incident between the UK and USA, and also to Mr. Napolitano apparently being given the push by Fox News and going into temporary hiding. Incidentally, Andrew Napolitano is yet another 'conspiracy theorist' friend of Alex Jones. In brief - in all seriousness, Mr. Napolitano claimed to a wide-eyed Fox News interviewer (who asked for no supporting evidence) that 'three intelligence sources' had informed Fox News that the main British intelligence gathering agency, GCHQ, had secretly (and illegally) spied on Donald Trump during the 2016 presidential campaign at the request of President Obama. Perhaps it's just an unfortunate coincidence?, but Andrew Napolitano knows Donald Trump personally. He even has an apartment at the Trump International Hotel and Tower in New York City. Napolitano went on to imply that the reason why the head of GCHQ, Richard Hannington, has recently resigned is directly linked to these Trump-spying activities. story would not be repeated. Fox News also publicly disowned Napolitano's statement. 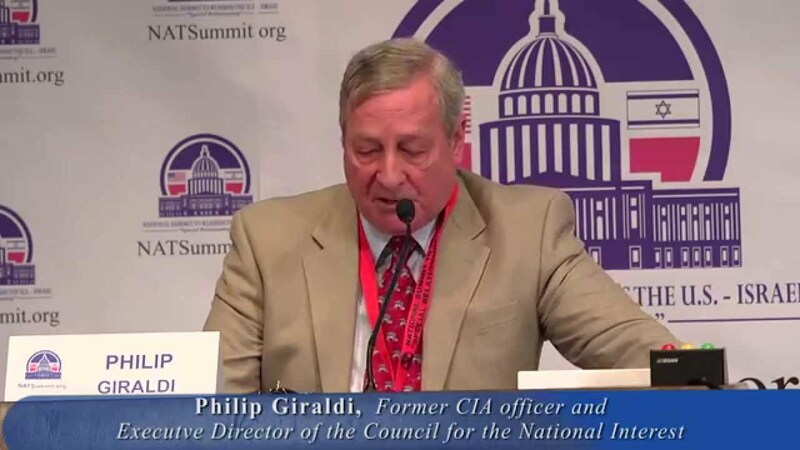 Another one of these 'three intelligence sources' (who is also probably one of Larry C. Johnson's 'very good friends') is apparently yet another former CIA agent, Philip Giraldi. February 28th, he posted an elaborate article in defence of Donald Trump's disgraced former National Security Advisor, Gen. Michael Flynn, but which was also a subtle introduction to the GCHQ spied on Trump for Obama fiction subsequently broadcast as fact by Larry C. Johnson, Andrew Napolitano and Sean Spicer (on behalf of Donald Trump). Lyndon LaRouche (b. 1922) is perhaps the most severe and inflexible narcissistic charlatan ever to have run for the US presidency. In 1992, he achieved the dubious distinction of becoming only the second person to run for US President from prison (where he was serving part of a 15 year sentence for conspiracy to commit fraud). Donald Trump might not have been the nuttiest US presidential candidate, but he is the first sitting US President openly to subscribe to what are popularly known as 'crackpot conspiracy theories.' 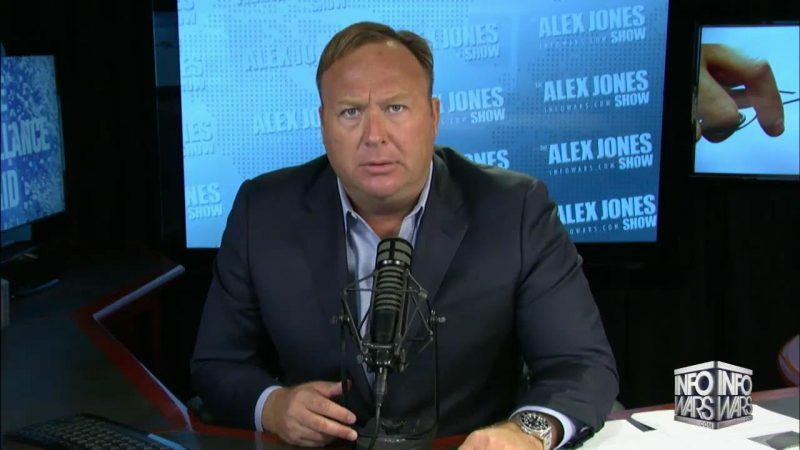 Donald Trump has even appeared with (and endorsed) the USA's most-notorious professional 'crackpot conspiracy theorist,' Alex Jones. For decades, Lyndon LaRouche (the instigator, and self-appointed sovereign leader, of the criminogenic cult known as the 'LaRouche Movement') has been the origin of numerous 'crackpot conspiracy theories.' Not surprisingly, LaRouche has also made regular appearances with Alex Jones. Typically of a criminogenic cult, the elaborate paranoid fiction ritualised as fact which has controlled the thinking, and behaviour, of LaRouche's deluded core-adherents, has been peddled to them in a never-ending series of expensive, but essentially valueless, publications and recordings. In these, LaRouche has steadfastly pretended moral and intellectual authority, but his hidden criminal objective has always been fraudulent. For many years, Lyndon LaRouche has pretended that he acted as a key-adviser to President Ronald Reagan. Thus, with an irony that is close to exquisite, the LaRouche Movement is a third source which has recently been broadcasting the fiction that GCHQ was used by President Obama to spy on Donald Trump. However, a significant quantity of 'LaRouche Movement' propaganda has fixated on Britain's intelligence agencies in general, and on GCHQ in particular. That said, this is only one small chapter in Lyndon LaRouche's overall, paranoid controlling-narrative. Laughably, prior to his election, LaRouche was dead against Donald Trump, but now he's President, he's all for him. Where exactly did Larry Johnson, Phillip Giraldi get the idea that Barack Obama used British government agents at GCHQ to spy on Donald Trump? In whose interests was it for Larry Johnson, Phillip Giraldi, Andrew Napolitano and Sean Spicer all to repeat this unsubstantiated fiction as fact publicly? NB. The so-called 'LaRouche Movement' is neither original nor unique and, consequently, it cannot be fully-understood in isolation. Behind a typically mystifying labyrinth of corporate structures (designed to prevent and/or divert investigation and isolate its bosses from liability), the so-called 'LaRouche Movement' has exhibited the universal identifying characteristics of a cult. Now if any Blog reader should still prefer to believe that Lyndon LaRouche is too elderly and absurd to pose a serious threat to democracy and the rule of law, currently, he is again fielding his own tame candidate, Jaques Cheminade, in the forthcoming French Presidential election. This means that M. Cheminade has somehow managed to obtain the required endorsement of 500 French Mayors. Is everything that Larouche claims about himself a lie? Did he act as an adviser to Ron Reagan on weapons technology? Anonymous - According to LaRouche, he's a philanthropic superman and multi-talented genius who has been proved to know better than everyone about everything, from economics, psychiatry, history, politics, philosophy, etc. to weapons technology. LaRouche's grandiose claims are all comic-book BS, but which he has constantly repeated via his cult's propaganda organs. His claim to have invented the technology behind the 'Star Wars' satelite-mounted anti-missile defence system proposed by Ronald Reagan, is particularly laughable, but LaRouche's deluded followers believe it. Essentially Lyndon LaRouche is just another deranged cultic con-artist like L. Ron Hubbard, but who has been allowed to peddle an extraordinarily complex and mystifying series of his narcisistic fantasies which cleverly incorporate elements of reality. Don't forget that LaRouche has also claimed that the Queen ElizabethII has been the head of the international drugs trade, and that the 'British Empire' was responsible for Hitler and WWII, and still controls the world via the USA. Trump is member of the Screen Actors Guild and his presidency is like a bad movie. Thank-you Smiley - It seems that there have been all-manner of dangerous criminals (not Least Putin) contributing to the plot-line of Trump's bad movie. I notice that yesterday it was reported that a former senior UK diplomat, Peter Westmacott, has openly said that it was Russia that peddled the 'GCHQ spied on Obama' story in an attempt to damage the special US/UK relationship. In other words, this former diplomat is implying that Napolitano was either bought, and/or duped, himself by the Putin regime. Someone giving the name Peter Scott sent a comment to this post yesterday, but sadly for some unknown reason, between being received and published, it has mysteriously vanished. Mr Scott opened his comment by insisting that my article itself contained unsubstantiated propaganda broadcast by Mr. Trump's political enemies and their financial backers. Clearly, my article contains nothing but a summary of established facts. One of these facts is that each time evidence is presented proving that Trump is a charlatan/mythomaniac, he and his followers invert reality by steadfastly pretending that this evidence is itself a complete fabrication produced by Trump's political enemies and their financial backers. It seems that Mr. Scott has merely confirmed the accuracy of my overall analysis.